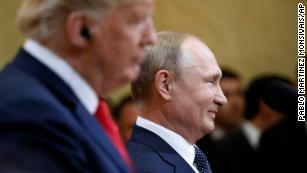 Washington (CNN) Without consulting the White House, Director of National Intelligence Dan Coats decided to reassert the intelligence community’s assessment that Moscow interfered in the 2016 election Monday, publicly breaking with President Donald Trump, who earlier had expressed doubts about that finding while standing alongside Russian President Vladimir Putin. Coats faced “a choice” after Trump issued a stunning rebuke of the US intelligence community, saying he doesn’t “see any reason why” Russia would be responsible for interfering in the 2016 election — touting Putin’s vigorous denial then pivoting to complaints about the Democratic National Committee’s server and missing emails from Hillary Clinton’s personal account. Amid a flood of criticism back home, Trump later tweeted from Air Force One that he has “GREAT confidence in MY intelligence people” but that message has done little to reassure those who feel he undermined the US in front of its greatest geopolitical adversary and are concerned by the President’s willingness to believe Putin over his own intelligence apparatus. Trump’s comments on Monday are fueling questions about whether Coats should continue to serve in his current role as DNI. 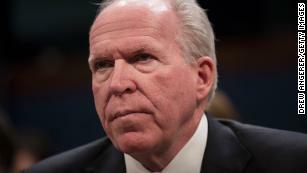 “I think Dan Coats, being head of the intelligence community, is probably the right guy to resign at this time,” Pfeiffer told CNN, adding that history has show that when a person with integrity takes this kind of step, it can move conversations forward at perhaps a different level. “To those saying we need the DNI to stay, I would respond with the question: Has his presence curbed the President? History shows well-timed and principled resignations help illuminate and focus on problems. As would a confirmation hearing for a successor,” Pfeiffer added in a second tweet. “At some point, good people have to decide,” he told CNN. Pfeiffer was also asked if Coats could still competently do his job given that the President remains steadfast in his own conclusions about Russia’s election interference despite repeated warnings from his top intelligence official. “I don’t know how he can continue,” Pfeiffer said, noting that Trump’s comments came just days after Coats issued a warning about Russia’s cyber threat. 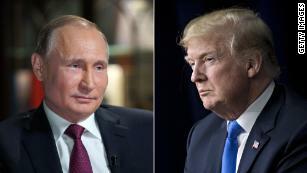 But Trump raised doubts about Coats’ conclusion in an interview with CBS News recorded prior to his meeting with Putin and released on Monday. “I don’t know if I agree with that. I’d have to look,” Trump said when asked about Coats’ warning. The President added that he has “a lot of respect” for Coats, but with his breaking with his top intelligence official on major issues related to Russian national security threats, Coats’ future seems uncertain.